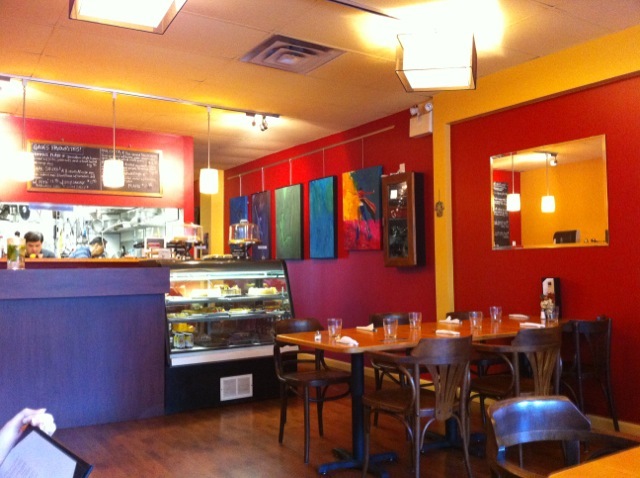 Gaia Bistro is a little Mediterranean restaurant on West 41st, in the heart of Kerrisdale. 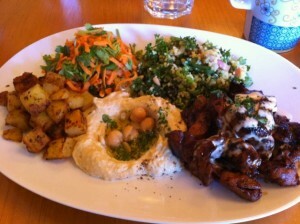 Craving Middle Eastern flavors, we had heard great things about Gaia from friends and other food bloggers. 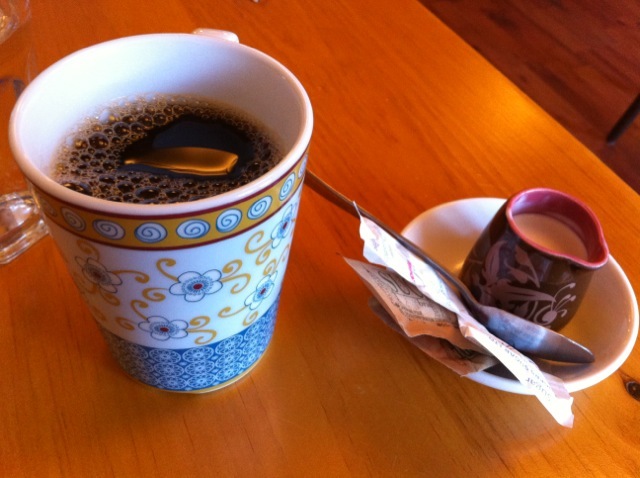 We had attempted to dine at Gaia on two previous occasions but unluckily for us, both days were holidays. Their menu highlights dishes from Greece, Italy, the Middle East, North Africa, and southern France. Everything from shawarma and quiches, to lamb osso bucco and shakshuka entrées are offered. Israeli born Chef and owner, Eran Rozen moved Vancouver to pursue his passion for cooking and just over a year ago Gaia Bistro was born! Longing for cuisine originating from our Middle Eastern travels, we both ordered Gaia’s Chicken Shawarma Plate ($13.95). Definitely not your standard casual street-style shawarma/shwarma/shawerma plate you would usually come across in Vancouver. This particular dish was made with organic, locally-grown and exceptionally fresh ingredients. Severed with tabouli salad, Tunisian carrot salad, hummus and oven-roasted potatoes. The chicken was pan-seared and marinated in red wine, grenadine, and fresh herbs – savory and the tender chicken was perfectly cooked. Just the right amount of healthy fare to feel satisfied, yet not overly-stuffed. 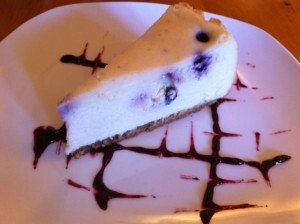 Their amazing blueberry cheesecake was from Trees Organic (a local Vancouver company). Chef Rozen makes all the other desserts daily (tarts and cakes). Their excellent organic coffee was freshly ground and made to order. Service was attentive and our mint-infused water (always a nice touch to offer flavored water) was filled whenever it became low. Beer and wine are also on the menu. Warm colors blanketed the walls and details did not go unnoticed to make us feel embraced by the Mediterranean spirit. Overall, Gaia Bistro was a pleasant experience with bright, fresh flavors and attentive service. Gluten-free dishes, outdoor dining, and live music are also offered. They are open for lunch, dinner and dessert. Stop-by Gaia today for a delicious taste of the Mediterranean!